DAVID SHELLEY: Manual of Optical Mineralogy. 239 pp. Elsevier Scientific Publishing Company, Amsterdam, Oxford, New York 1975. 256 sider, $ 26.95. D. R:IcHTER: Allgemeine Geologie. Sammlung Gi:ischen 2604, Walter de Gruyter, Berlin 1976. 366 sider, 128 figs., 12 tab., paperback. DM 19,80.
International Stratigraphic Guide. A guide to Stratigraphic Classification, Terminology. and Procedure, by International Subcommission on Stratigraphic Classification of IUGS Commission on Stratigraphy. Redigert av Hollis D. Hedberg. John Wiley & Sons, New York- London- Sydney- Toronto 1976. 200 s. Pris $ 9.50. HEINZ BECKMANN (Ed. ): Geology of Petroleum. Vol. 2. Heinz Beckmann: Geological Prospecting of Petroleum. 183 sider, 110 fig. DM 16.80. Vol. 3. Alfred Mayer-Giirr: Petroleum Engineering. 208 sider, 169 figs., 11 tab. DM 16.80. Ferdinand Enke Verlag, Stuttgart 1976. EARL CooK: Man, Energy, Society. W. H. Freeman and Co., San Francisco 1976. 478 pp. 113 fig. f. 5.00. J. A. VENABLES (Ed. ): Developments in Electron Microscopy and Analysis. Academic Press, 1976. 573 pp. f. 11.50. A. PILGER & A. RØSLER (eds. ): A/ar Depression of Ethiopia. Volume l, 416 pp, 2 pl., 34 tab., 216 figs., 13 folde plansjer. DM 136,-, 1975. Afar between Continental and Oceanic Ri/ting Volume Il. 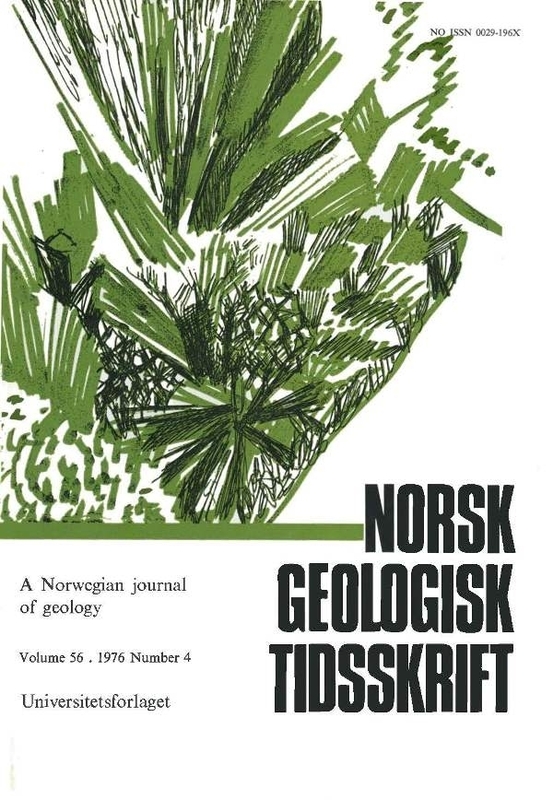 216 pp., 1976. E. Schweizerbart'sche Verlagsbuchhandlung 1975, 1976.